This topic contains 3 replies, has 2 voices, and was last updated by fraser20000 3 days, 8 hours ago. I won one of these boats on an ebay auction and plan to go have a look at her Sunday 14 April. The owner has listed a few bits of work needing done, mainly a bit of rot in the transom needing fixed. is there a guide on what to look for in general? i was planning to check the hull for soft spots but this is my first boat and I am not sure what else to look for. Well done for buying an Atalanta. They are great boats. And they have proven long lasting when looked after. The one thing they really hate is to be left with water on the decks or in the bilges for a long time. Here are some key things to look out for – maybe others will add their own advice. That rot in the transom…. be aware that the steering lines exert quite a force on the pulleys bolted to the transom. Rot in this area has caused steering failure. Delamination, particularly of the decks. The starting signs are to see the joins between the diagonal veneer strips. Light tapping should help reveal. Brass Screw failure – de-zincified screws can cause issues, particulary underwater. ‘Halo’ marks through the paint are an indiciation of this. Easily fixed by removing, repairing with epoxy and fitting new screws. Rust stains weeping from the chainplate area – a sign of things not good underneath. You will see from the recent posting by Bluster however that things can look okay on the surface but need attention underneath. Skeg and deadwood – check for any movement. The original fastenings have been known to fail. 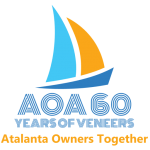 Also, there is a wealth of information available to members of the AOA including technical papers, Annual Bulletins full of practical experience of looking after the boats, and hundreds of original drawings. One of the technical papers is advice on Surveying an Atalanta. You can see indexes of the material available to members here. Where are you /the boat based? 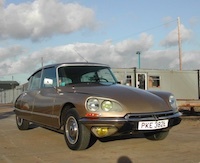 It might be than an existing owner would be willing to come and have a look with you. This reply was modified 3 days, 10 hours ago by Nick Phillips. 3. The external bearing on the prop needs replaced but that is a small job. I will strip and repaint but i was toying with just going back to wood and staining in the rear cabin and sealing with epoxy but I am not sure if that is a good idea. The owner suggested cutting down and staggering some new bits of wood and gluing with epoxy, I was thinking the same but possibly wrapping with some fiberglass tape and epoxy to add strength. God willing all should go well, I really like the boat and should have her brought through to Edinburgh next week and I can start working on her in hopes of getting in the water for August. This reply was modified 3 days, 8 hours ago by fraser20000.